In Brazil, the right to own property is assured by Article 5, XXII of the Federal Constitution. According to the Brazilian Civil Code (Law No. 10,406 of 2002), the owner has the right to use, enjoy and dispose of his or her property, as well as to defend it from whoever may unlawfully hold it. Under Brazilian law, there is mainly one kind of official real estate ownership. In addition to that, the Brazilian Code provides for certain subordinated in rem rights, or in rem rights over third parties, by means of which one may be granted rights over certain real property, without, however, acquiring ownership over it. The subordinated in rem rights are defined in a restrictive list contained in Article 1,225 of the Brazilian Civil Code, and the parties are not allowed to create in rem rights further to those described thereunder. When it comes to real estate, the most common subordinated in rem rights are the surface rights and the usufruct, as well as in rem guarantees. In sum, surface rights can be defined as the granting, by the owner of the in rem right to the grantee, of the right to use the soil of a real property. By means of creation of the surface right over certain property, the ownership is subdivided, in a manner that the surface right itself is assigned to the grantee, and the owner remains with the 'bare ownership' of the land. Such grantee becomes, upon perfection of the surface right, entitled to build, plant or use the property for other purposes that may be further adjusted between the parties, for a fixed term. Surface rights can be granted either as an onerous act or free of charge, and there is no maximum term for granting of such right. Surface rights can also be sold, assigned, or even granted as collateral (i.e., mortgage or fiduciary sale). The usufruct, in its turn, is the right to use and enjoy the property, without, however, being entitled to dispose of it. Also, when the usufruct is created, the owner retains bare ownership over the asset; this is the reason why it is said that such rights are subordinated if compared to full ownership. Usufruct cannot be sold, but the grantee may, as either an onerous or free act, assign its exercise to third parties. There are basically two kinds of real estate guarantees provided under Brazilian law, mortgage and fiduciary sale. Real estate guarantees will be further described in Section V below. Under Brazilian legislation, the real property ownership is usually transferred by means of a transfer deed, which must be drawn up by a notary public and registered with the competent real estate registry in the respective property record to be effective. The same applies to creation of in rem rights or guarantees, by means of execution of the respective instruments and registration with the appropriate real estate registry. According to the Brazilian Civil Code, ownership is only transferred upon due registration of the acquisition title. Thus, should one fail to register the transfer deed with the appropriate real estate registry, the property will remain recorded under the name of the former owner and, as such, subject to its credit risk, being subject to seizures, attachments or other liens. Brazilian law provides that an asset will be regulated by the laws of the country where it is located. 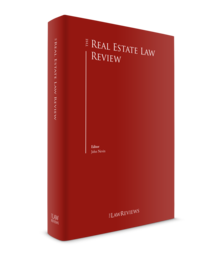 Most aspects concerning real estate are ruled by the Brazilian Civil Code and, with regard to registration, by the Law of Public Registries (Law No. 6,015 of 1973). During the past four years, Brazil has faced a scenario of political instability and economic recession, which has led to high levels of discredit and low confidence. Notwithstanding that, after a continuous period of indexes going down, the market started presenting signs of recovery, and the opinion of specialists began to appear more optimistic. According to the civil construction trade union of São Paulo2 (the biggest real estate market in Brazil), commercialisation of residential units grew 52.1 per cent in 2018, if compared to the first semester of 2017. The results of the first semester of 2018 were the best since the beginning of the crisis, in 2013. The number of new projects also grew 4 per cent if compared to the first semester of 2017, even though it is still 24 per cent below the historical average of 10,700 new units calculated from 2004 to 2018. As a general rule, foreigners may freely invest in real estate in Brazil. However, for acquisition of rural properties or properties located in the country's border area, some restrictions may apply. Current rules and restrictions regarding foreign investments in Brazil provide that the acquisition or lease of rural properties by foreign entities and individuals and also by Brazilian companies whose majority of the capital is held by foreign investors or controlled by foreigners, will depend on the prior approval by the Brazilian Institute of Agrarian Settlement and Reform (INCRA) or the Brazilian National Congress, depending on the size of the rural property, among other restrictions. Brazilian law also provides for restrictions on the acquisition or even possession of rural properties located in the country's border zone, which depends also on the approval by the National Defence Counsel. To avoid triggering such restrictions, a foreigner that intends to invest in rural real estate should seek approval from the competent bodies or adopt alternative structures, which may include granting of in rem rights or entering into a joint venture with a Brazilian partner. It is worth highlighting that from time to time the Brazilian government discusses the possibility of softening such restrictions. Until this moment, however, no concrete measures in this sense have been implemented. There are basically no restrictions for foreign investment in urban properties. When investing in real estate in Brazil, there are several structures that may be adopted depending on the focus of the investor, which may include: (1) direct acquisition; (2) equity investments; (3) real estate investment funds (FIIs); and (4) Brazilian private equity funds (FIP). According to Article 1,254 of the Brazilian Civil Code, transfer of real estate ownership, as well as creation or conveyance of other in rem rights over real properties depends on the registration of the title with the real estate registry with jurisdiction over the place where the relevant property is located. Additionally, as per Article 108 of the Civil Code, any real estate transactions whose value is at least three times the current minimum wage shall be performed by means of a public deed, to be drawn-up by a notary public. Notwithstanding that, it is very common in transactions involving direct acquisition of real estate for the parties to execute a commitment of purchase and sale agreement. The commitment of purchase and sale is a conditional agreement that can be entered into by private instrument, by means of which parties undertake to, upon satisfaction of certain covenants, execute the definitive deed of purchase and sale. Such agreement can be registered with the competent real estate registry to grant priority against third parties and, should either party refuse to comply with its obligations thereunder, allows compulsory conveyance through a specific performance proceeding. The commitment is a very helpful tool in situations where the parties wish to be bound to each other but, either because of the need to regularise formal matters to allow conveyance of the property, or just because of business conditions, such parties do not want to actually transfer ownership at that moment. It is worth mentioning that direct acquisition of real property is subject to payment of the real estate transfer tax (ITBI), which is described further in Section V.iii, below. Additionally, notary and registration fees will be due to the notary public and real estate registry when drawing up and registering the definitive deed. Taxes on capital gain if the property is sold may apply. Another common structure to invest in Brazilian real estate market is to acquire equity of specific purpose companies (SPE). The SPE is a company that may be incorporated in the form of a limited liability partnership or of a Brazilian corporation, with the specific purpose of investing in certain real estate development. Incorporation of an SPE involves certain steps, such as registration with the board of trade, enrolment with the federal revenue, election of managers, among others. Notwithstanding, it is quite common for real estate developers seeking for investment to have the SPEs already incorporated. An advantage of equity investments if compared to direct real estate investment is that the ITBI, as well as notary and registration fees, do not apply. However, when investing in real estate through equity investment, one should assess not only potential liabilities relating to the property itself, but also with respect to the SPE (e.g., tax, labour and other kinds of liabilities). Another good alternative to invest in real estate in Brazil is to acquire quotas of an FII. The FII was created by Law No. 8,668/1993, and the offering of FII quotas is ruled by Normative Ruling No. 472 of the Brazilian securities exchange commission (CVM). The FIIs are investment funds specifically designated to invest in real estate projects, in a mechanism similar to the real estate investment trusts (REITs) in the United States. The FIIs are closed-end funds without corporate identity, and redemption of their quotas is not allowed. Hence, after the investment in a FII is consolidated, by means of subscription and payment of certain quotas, such quotas can only be negotiated in a secondary market, with low liquidity. The FIIs can be for determinate or indeterminate term and, as a legal rule, there is no minimum investment (even though, in practice, the public offerings of FII quotas usually provide for minimum investment amounts). As the intention of the creation of the FII was to foster real estate market development, there are certain tax benefits for the earnings of FII investments. For such reason, applicable laws have set forth some restrictions on permitted investments, namely: (1) real property and rights; (2) equity of real estate companies; (3) SPEs with real estate purposes; (4) other real estate funds; and (5) real estate backed securities and other real estate-related securities. FIPs are funds intended to invest in securities representing equity, such as (1) shares or quotas; (2) debentures; (3) subscription bonds; or (4) other securities that can be converted in or exchanged for shared. The FIPs are ruled by CVM normative ruling No. 578. Even though the FIP is not properly intended for real estate investment, it is quite common to have foreign investors incorporating FIPs to hold its equity in SPEs which, in their turn, are the direct owners of certain real properties or real estate developments. This is because Brazilian law provides income tax exemptions and incentives for foreign investors who comply with certain requirements. According to Law No. 10,257/2001, each municipality has jurisdiction to create its guidelines with regard to land use and parcelling, construction parameters, space occupation, among others. The urbanistic directives of certain municipality are ruled upon by the directive plan. All municipalities must have their own directive plans, which shall be reviewed and updated, at least every 10 years. Under the provisions of the directive plan, each municipality shall also create its rules on subdivision, use and occupation of the land (LPUOS), which governs the parameters for land parcelling, construction, as well as zoning directives of the municipality, in addition to the works and buildings regulation (COE), that sets forth the rules for constructions in the city. In this sense, any constructions to be developed in a certain municipality must be approved by the City Hall in accordance with the LPUOS and with the COE and, once concluded, the use and operation of such property is also subject to the provisions of the LPUOS. civil liability, which consists of an obligation to repair or remedy damage to the environment, or to compensate for the damage, in the event that the reparation or remediation is not possible. Administrative, civil and criminal liabilities are independent and cumulative. It is also worth mentioning that civil environmental liability does not require evidencing fault; it suffices to evidence the chain of cause and effect between the activity and the damage, irrespective of wrongfulness. Such liability applies not only to environmental damage, but also to any injury caused to third parties affected by the environmental damage, such as employees, service providers, neighbours etc., who may sue the liable party for recovery of health injuries or property damage. Urban properties are subject to the payment of the urban building and land tax, which is assessed and charged by the City Hall of the respective municipality on an annual basis. Rural properties, in their turn, are subject to the payment of the rural land tax, which is assessed and charged by the Federal Revenue Office, also on an annual basis. In addition, onerous acquisition of real estate is subject to the payment, by purchaser, of the ITBI. In case of donation, the recipient shall pay the gift tax. Finally, it is also worth mentioning that acquisition of real estate is subject to payment of notary and registration fees. There are basically two kinds of securities granted over real estate admitted under Brazilian Law: the mortgage and the fiduciary sale. The mortgage is ruled by the Brazilian Civil Code, and consists of a lien that can be created over certain property by means of execution of a public deed before a notary public and its registration with the appropriate real estate registry. Brazilian law allows for the creation of any number of mortgages over the same property, provided that such liens will have different priority depending on the order of registration in such property's record. The mortgage can only be foreclosed by means of a judicial procedure, which involves sale of the mortgaged property in public auction and, in case the amounts resulting from such sale are not enough to cover the debt, the debtor shall remain personally liable before the creditor. The fiduciary sale, in its turn, consists of actual transfer of ownership over a relevant property, in a fiduciary manner, for the purposes of securing certain obligations. Fiduciary sale can be created either by means of private or public instrument, and its foreclosure follows an extrajudicial procedure, much faster when compared to the procedure applicable for the mortgage. On the other hand, the biggest downside when it comes to the fiduciary sale is that if in the public auction there are no bids at least equal to the debt amount, property will be definitively conveyed to the creditor, and there is a risk of the debtor being fully released from the debt, depending on the nature of the secured obligation. In Brazil, leases of urban properties are governed by Law No. 8,245/1991, which establishes the rules for residential and commercial property leases.7 The lease term may be agreed by the parties and therefore specified in the lease agreement, and parties may also agree to enter into lease agreements for an indeterminate term. As a general rule, landlords cannot terminate a lease agreement early if it is valid for a determinate term. The tenant in its turn may unilaterally terminate certain lease agreements at any time, upon sending the landlord a prior notice, and paying the applicable fine, which shall be reduced proportionally to the time of the agreement. If the lease period expires, and the tenant continues to occupy the leased property with the landlord's consent, the lease agreement will be deemed as extended for an indeterminate term and, on this occasion, may be terminated by either party upon 30 days' prior notice, without any penalty. Should the tenant continue on the property after this 30-day period, the landlord may file an eviction suit before the competent court to repossess the property. Notwithstanding that, if the leased property is sold to third parties during the lease term, such purchaser has no obligation to observe the lease agreement, being entitled to unilaterally terminate it, unless the agreement expressly provides for the effectiveness of the lease in case of sale of the property, and is registered in the property's record with the appropriate real estate registry. Otherwise, such third-party buyer may terminate the agreement upon 90 days' prior notice, and request the property back. The rent value may be freely agreed by the parties and must be stipulated in Brazilian currency (the real). Brazilian law does not allow for the stipulation of the rent in any foreign currency, including the dollar. The rent value may be subject to monetary correction every 12 months by an index that reflects Brazilian inflation, which is chosen by the parties. The adjustment by the exchange rate or within less than 12 months is currently not allowed. In addition to the rent, it is usual that, in lease agreements, the tenant remains responsible for the payment of the taxes, charges and other expenses related to the leased property. The default rule is that the tenant may not sublease, assign or transfer the leased property without the landlord's prior consent. Failure to obtain the landlord's prior consent shall result in early termination and established penalties. In urban leases, after a three-year lease period, and assuming that the monetary correction was incorporated into the value of the rent on an annual basis, either party is entitled to claim update of the rent value to market standards. This means that the tenant could ask for a reduction in the rent value or the landlord could ask for an increase in such value, depending on market practices. This can be done either on a friendly basis or in court, by means of a specific judicial proceeding, named 'action for review'. In addition, the tenant is entitled to compulsorily renew the lease agreements for business purposes by means of a specific judicial procedure (renewal action), provided that the following requirements are met: (1) the agreement is entered into in written form and for a determinate term; (2) the lease agreement to be renewed has a term of at least five consecutive years, extension of contractual terms being permitted; and (3) the tenant carries out the same business activity in the property for a period of not less than three years. If all requirements are met, the renewal action must be filled from 12 to six months before termination of the agreement. If the action is not filed within this time frame, the tenant will lose its right to compulsory lease renewal. In addition to that, Brazilian law also has specific provisions regarding build-to-suit (BTS) agreements. BTS agreements first appeared in Brazilian practice as atypical and complex agreements, under the influence of similar transactions in other countries. Common contractual aspects of a BTS include: (1) rules applicable to the development and acceptance of a lessee-supplied or directed building design and specifications; (2) construction and handing over rules; (3) regular lease rules; and (4) the possibility of a lessor assigning the rent credits to third parties, such as for purposes of securitisation. Because of their specific nature, in BTS agreements it is permitted for the parties to waive their right to review the rent, or to provide for heavier termination fines which, however, cannot exceed the amount of the rents to be due until expiry of the lease term. In greenfield projects, mainly residential ones, it is quite common for developers to start selling the futures unities that will be built up, by means of execution, with the purchasers, of commitments agreements. The commitment agreement, in principle, is irrevocable and irreversible. However, recently, because of the economic crisis, several buyers started having difficulties in paying for the acquisition of the properties, which led to the termination of a considerable number of such agreements. In this context, many discussions arose on whether the developers had the right to retain any part of the amounts already paid by the clients, given that such clients would no longer acquire the property and, if positive, questions arose over what the percentage of such retainer would be. Such disputes became judicial claims, and courts around the country started to enact different decisions. In light of these discussions, in December 2018, the Brazilian government enacted a new law (Law No. 13,786/2018) that, in summary, obliged the developer to provide the effects of its termination in the agreement, and in case of termination prevents the developers from retaining more than 25 per cent of the amounts paid by purchasers, in regular developments, or 50 per cent, in developments that were submitted to the segregated assets regime. The perception is that this law will reduce the uncertainties and will improve the legal environment for real estate developments. As described above, currently there are certain restrictions on the acquisition of rural properties by foreigners in Brazil. Such rules also apply to corporate transactions that imply indirect acquisition of rural real estate by foreigners. Such restrictions were created in 1971, when foreign investment was something new, and the transactions were less sophisticated, and the consequence for any and all violations thereto is the nullity of the transaction. Additionally, the proceeding for a foreign investor to seek for due authorisation by the competent bodies is quite bureaucratic and time-consuming. For this reason, it is common for foreigners that intend to invest in rural properties in Brazil to end up having to adopt alternative structures, which may involve granting of in rem rights other than ownership (such as surface rights or usufruct), entering into rural partnership agreements (which, as opposed to rural leases, are not covered by the restrictions), or even entering into a joint-venture with a Brazilian partner. Such framework, however, is not that attractive to foreign capital, and ends up causing Brazilian potential in the agricultural sector to be underappreciated. Because of that, from time to time, certain bills that intend to soften or anyhow alter the restrictions are processed in Brazilian congress; however, none of these has been approved so far. Notwithstanding, after many years of political orientation against foreign investment in land, a new government was elected in the 2018 elections, and rumours are that the new government may be keen to provide a better environment for foreign investment as a whole, which would include the agribusiness sector. In this sense, there are chances of such restrictions suffering relevant changes within the next years. Recently, the Brazilian central bank enacted the regulation of a new instrument that is intended to boost real estate credit in Brazil – the real estate covered bond (LIG). The LIG is a real estate backed collateral that can be issued by financial institutions, and basically consists of a debt instrument secured by a pool of assets that are enough to assure the payment of all investors in case of default of bankruptcy by the issuer. When speaking of real estate financing, in addition to regular credit granted by banks, diluted financing by means of securities negotiated in counter market or even stock exchange plays an important role. The LIG has a strong advantage when compared with the real estate bills because it is secured not only by the health of the financial institution, but also by the pool of assets. This also makes the credit safer and, thus, cheaper to the contracting parties. On the investor's side, in addition to being a low-risk bond, LIG's profits are tax-free. Lately, the Brazilian economy and, jointly with it, the real estate market, demonstrate signs of recovery. The growth in the number of new projects and releases is already visible and is likely to become higher. Also, in the legal field, it is expected that innovations may appear, creating new tools and granting security and solidity for attracting investments to the real estate sector. Some aspects have already changed, some will soon become reality, and some others carry high expectations. The Brazilian market has a lot of unexplored potential in, among others, the rural, logistic, infrastructure and tourism sectors. Some other new business, such as co-working, data centres, and shared housing facilities are rising in addition to the traditional real estate development figures. It is expected that the Brazilian real estate market will enter a very positive business cycle. 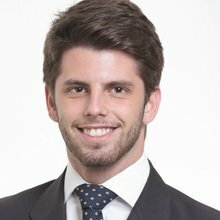 1 Franco Grotti is a partner, and Guilherme de Toledo Piza is an associate at Pinheiro Neto Advogados. 2 Available at www.secovi.com.br/downloads/pesquisas-e-indices/balancos-do-mercado/2018/arquivos/balanco-do-mercado-imobiliario-de-sao-paulo-1semestre.pdf, last accessed 10 December 2018. 3 Available at indiceseconomicos.secovi.com.br/indicadormensal.php?idindicador=79, last accessed 10 December 2018. 4 Available at indiceseconomicos.secovi.com.br/indicadormensal.php?idindicador=13, last accessed 10 December 2018. 5 In transactions involving rural properties located in the border areas, violations to the restrictions may also lead to the application of a fine corresponding to 20 per cent of the transaction amount. 6 Available at bvmf.bmfbovespa.com.br/cias-listadas/empresas-listadas/BuscaEmpresaListada.aspx?segmento=Incorpora%C3%A7%C3%B5es&idioma=pt-br, last accessed 10 December 2018. 7 Leases of rural properties are governed by Law No. 4,504/1964.